In 2007 the United States both hosted and won the FIBA Americas Championship in Las Vegas led by Kobe Bryant. Prior to match play the Americans held intrasquad games to prepare for the tournament. Offered is the jersey Kobe wore during the intrasquad game. 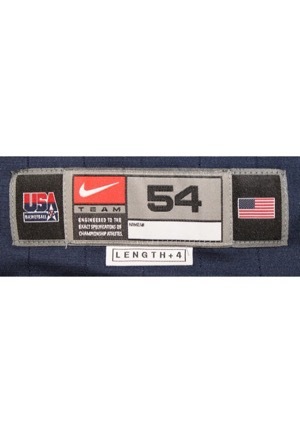 On the front left tail is the Nike manufacturer’s tag size “54” with an attached flag tag reading “LENGTH +4”. On the left inseam is a flag tag with jersey materials and an additional inventory flag tag. 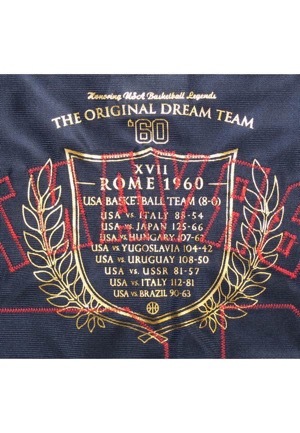 In the rear neck is a screen printed Nike logo and in gold reads “Honoring USA Basketball Legends THE ORIGINAL DREAM TEAM ‘60” with all of the final scores from the Americans gold medal run at the 1960 Olympics held in Rome. 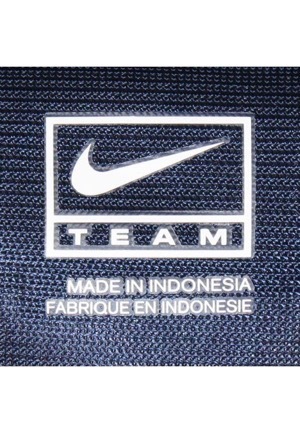 On the upper left chest is a Nike “Swoosh” logo. Across the chest reads “U.S.A.”. 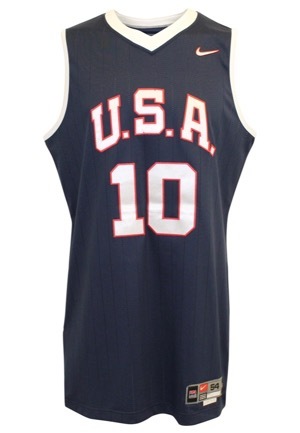 Adjacent below and on the back is the player number “10”. Across the back is the player name “BRYANT”. All numbering and lettering is done in silver on red tackle twill sewn directly into the jersey. 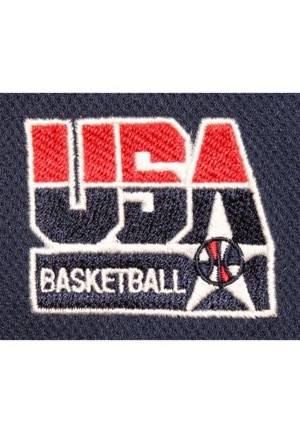 On the back below the collar is the “USA BASKETBALL” patch. 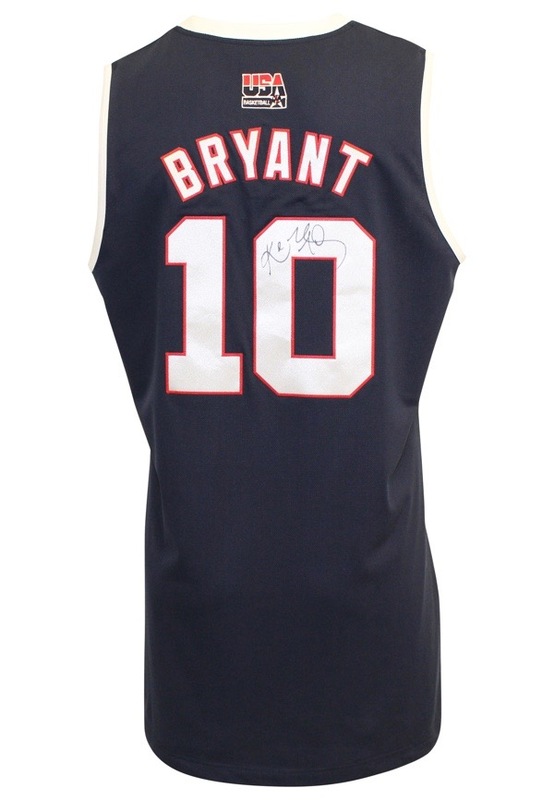 Bryant signed the back of the jersey inside the player number “0” in black ink and in our opinion the signature rates a 9. This jersey is properly tagged, was presented to us as game-used in the Blue vs. White intrasquad and in our opinion shows appropriate use. Accompanied by a LOA from JSA.